Expedia has Luhanka travel packages ready for you. Combining your airfares and accommodations is one of the easiest ways to save cash on your upcoming adventure. Our enormous global database allows you to search more than 321,000 properties worldwide and 400 partner airlines. With such a terrific range of options, organizing your dream vacation will be a breeze! Don't worry about postponing your group's travel plans, as we don't charge additional cancellation fees for almost all of our reservations. We have all the latest sightseeing tips for your trip to Luhanka. Grab your travel planner and get ready to start filling that itinerary. Whether you want to unwind with a few beers or find some mind-blowing activities, Expedia can help make it happen. All you need to do is show up! Halli Airport (KEV) is situated 30 miles (48 km) west of the main streets of Luhanka. Find your bags, flag down a cab and let your vacation begin! 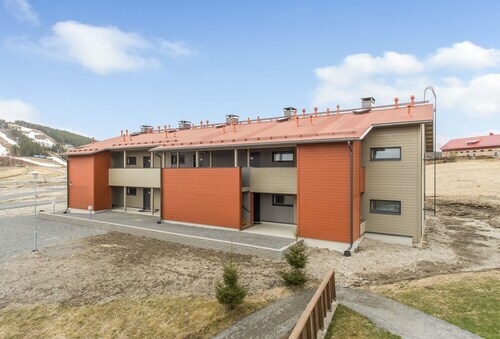 Situated in Jamsa, this ski apartment building is 0.6 mi (0.9 km) from Himos Golf and within 6 mi (10 km) of Jokilaakso Hospital and Seppola Chapel. Mantta Church and Honkahovi Art Center are also within 32 mi (52 km). Situated in Hartola, this golf hotel is within 1 mi (2 km) of Hartola Golf and Hartola Church. Heinolan Lintutarha and Heinola City Museum are also within 32 mi (52 km). 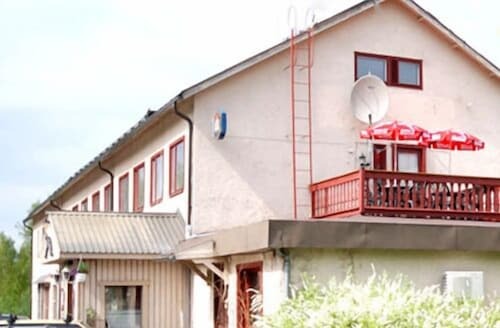 Situated in Jamsa, this hotel is within 1 mi (2 km) of Seppola Chapel and Jokilaakso Hospital. Himos Golf is 6.2 mi (9.9 km) away. Jamsa Station is only a 2-minute walk. 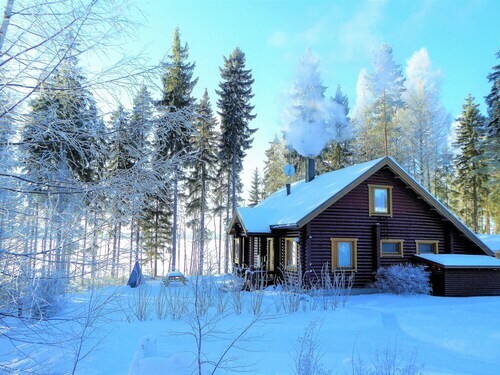 Situated in Jyvaskyla, this property is within 32 mi (52 km) of Alvar Aalto Museum, Toivolan Vanha Piha, and Jyvaeskylaen Jaahalli. University of Jyvaskyla and Himos Golf are also within 32 mi (52 km). 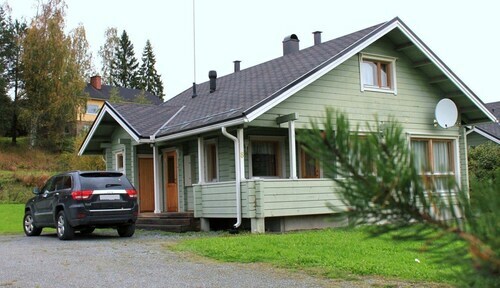 Situated in Jamsa, this golf villa is 2.5 mi (4.1 km) from Himos Golf and within 9 mi (15 km) of Jokilaakso Hospital and Seppola Chapel. Alvar Aalto Museum and Jyvaeskylaen Jaahalli are also within 32 mi (52 km). 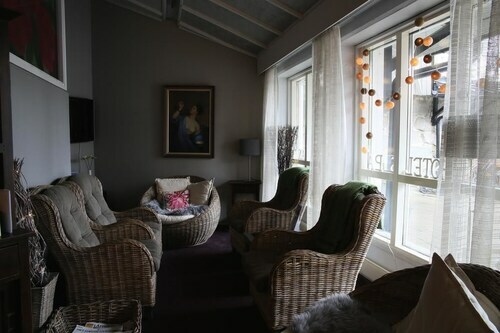 Situated on the waterfront, this romantic vacation home is 18.6 mi (30 km) from Hartola Church and within 32 mi (52 km) of Hartola Golf and Asikkalan Church.